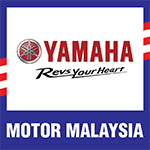 Bandar Sunway, 16 April 2014 – Hong Leong Yamaha Motor Sdn Bhd today revealed their latest addition to the Yamaha staple of motorcycles, the new Street Naked FZ 150i. In a ceremony specially tailored for the media held at the Sunway Resort & Spa Hotel, the new FZ150i was unveiled by Hong Leong Yamaha Motor’s Managing Director, Mr. C. H. Ng, who describe the new motorcycle positioned as “Street Naked” as it has been developed from in trend “Naked Styling” motorcycle design concept found on big cc bikes. The concept integrates advance naked design, sporty riding position, innovative features coupled with excellent fuel economy from the proven Yamaha fuel injection system to provide a complete street bike package. “Today marks a special day as we move to strengthen and improve our market presence in the street category of the Malaysian Motorcycle Industry with the introduction of the new Street Naked FZ150i” said Mr. Ng. Powered by the proven fuel efficient 4-stroke 4-valve SOHC 150cc liquid-cooled Fuel Injection engine. Newly designed head light and flasher. Safety key-shutter with a 2-track key system. Sleek and compact tail light. Sporty inner fender and undercowl. The new FZ150i is UN-ECE compliant and comes with modern graphics with a choice of White, Red and Black. “It is our hope that the introduction of this new street-naked Yamaha FZ150i will inject new excitement and interest into the street bike category thus encouraging more motorcycle owners to step up to own an innovative and stylish bike.” quipped Mr. Ng. The sales price of the new Street Naked FZ150i is RM 8,538 (Peninsular Malaysia only, excluding road tax, insurance and number plate) and will be available at all authorized Yamaha dealers throughout Malaysia.